It's not a secret that I love IOPE products and this was the one that started it all. I'd like to think that I am one of the lucky few that have very minimal dark circles. But the delicate skin around my eyes has become quite dry and evolved to premature fine lines. I figured that it was time to invest in an eye cream. 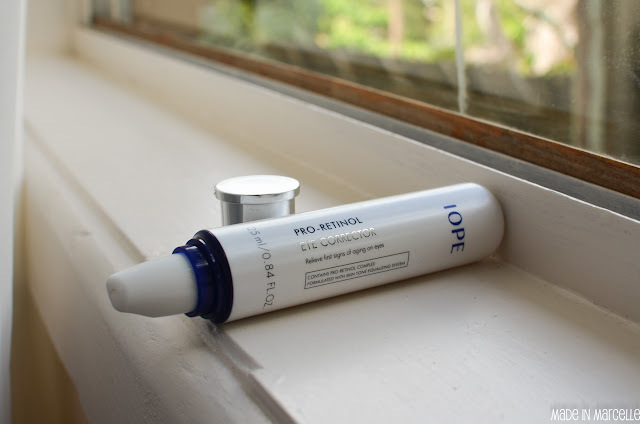 Pro-retinol Complex manages wrinkles and darkened area for all day long. Eye serum that turns areas around eyes brighter and smoother. 1. 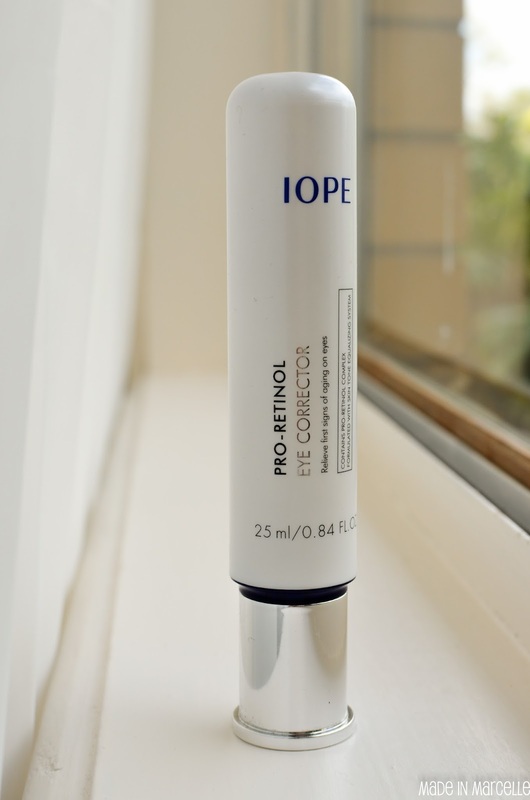 Pro-retinol Complex manages wrinkles and darkened area of first sign zone. 2. Perfect anti-wrinkle care for day and night3. Skin Tone Equalizing Formula corrects skin tone and roughness. You can meet brighter and smoother eye area. I am glad there is a pump because this helps preserve the product better. 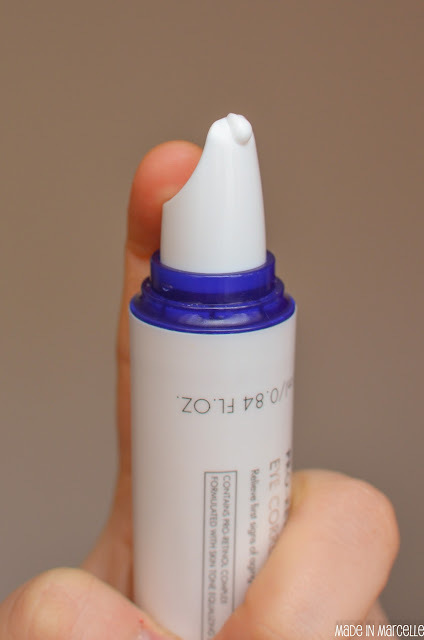 But this is such an unconventional pump and I have found that at times my finger slips when I am trying to dispense the cream. There are a couple of factors that contribute to my dry/flaky/wrinkly eyes; lack of sleep, crazy hayfever (frantic eye rubbing) and overall dry skin. So I was look at this as a way to prevent those fine lines from getting worse and hopefully help with the dryness. 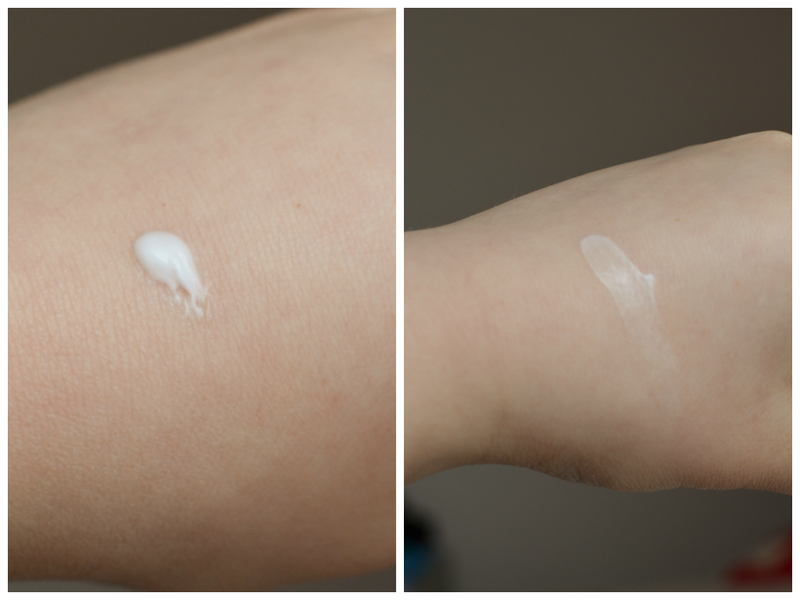 The formula is quite thin but it means that the product absorbs very quickly. One pump is all I need for both eyes. Also because of this formulation it is not too oily and looks great under makeup. It is ridiculous how fast I saw results from this product. My eye bags looked a lot plumper and the fine lines softened within just a couple of days. It does not help with dark circles though. This is an amazing product that can potentially give me great results and smoothing out those lines. It has become a staple in my regime. I have been enjoying it so much that I think I am going to run out very soon.